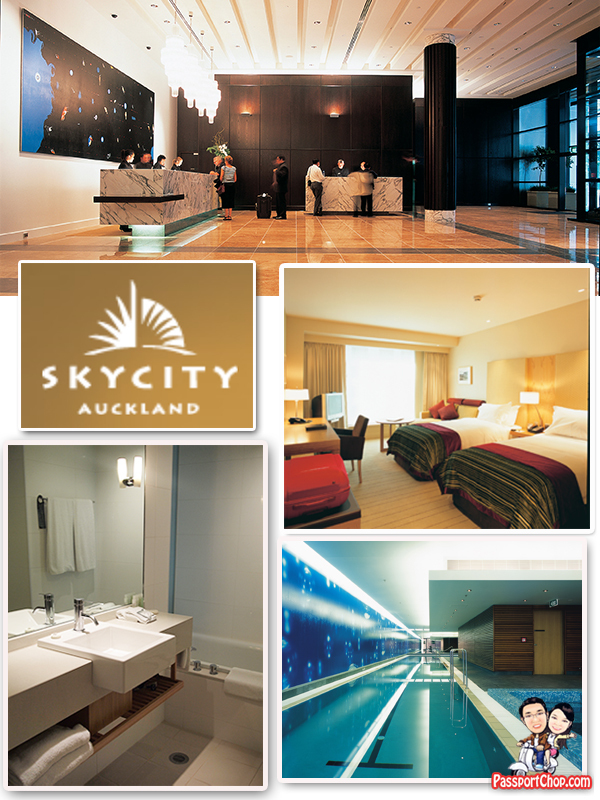 Centrally located in the heart of Auckland City, the SkyCity Grand Hotel is a 5 star masterpiece of contemporary elegance and style. The Grand Hotel’s 316 guest rooms are luxurious and comfortable, and for those wanting to relax, the sublime East Day Spa and award-winning cuisine by Peter Gordon will do just that. Be it adventure, food, theatrical performances or just trying your luck at the poker tables, you can do them all right at your doorstep. The SkyCity entertainment complex hosts a large range of restaurants, cafes and bars, a theatre, the iconic Sky Tower and a world-class casino. The rooms are spacious and comes with a modern bathroom with separate bath and shower area. If you don’t have time to enjoy the East Day Spa in the hotel, you can also settle for the alternative – East Day Spa bath amenities i.e. moisturiser, shampoo, conditioner and shower gel. In-room broadband internet is not cheap – at either $29.90 24 hours with 100 megabytes download cap or $10.00 2 hours with 20 megabytes download cap. With facebook, youtube and picture-intensive sites like PassportChop.com :-), these bandwidth can get used up quite quickly. There is a free option for guests of SkyCity Grand – 30 minutes of free Wifi (maximum 30MB download) is available daily in the lobby. Usage is tracked by device so if you have brought along your iPhone, iPod Touch, iPad and laptop for this trip, you can potentially use up to 120 minutes (4 devices of 30 minutes usage limit each). This limit is resetted at 12 midnight each day. 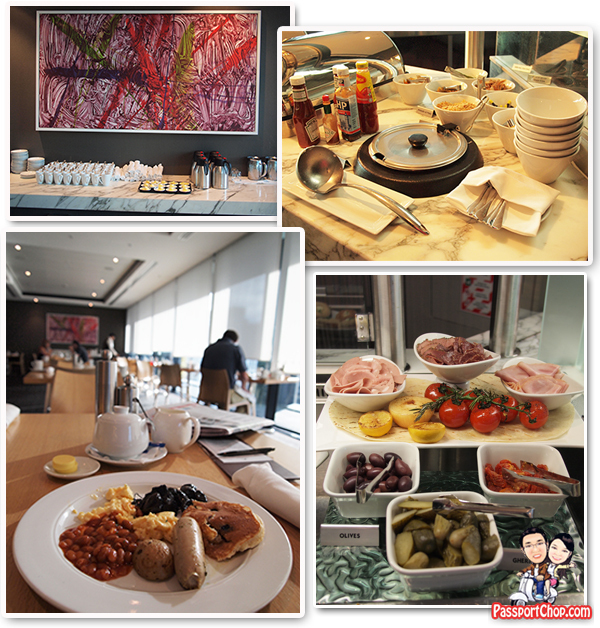 The Terrace is a premium five-star buffet restaurant with elegant al fresco dining in the Terrace courtyard – the perfect place to start your day with an extensive hot and cold buffet and a sumptuous à la carte breakfast menu. Besides sausages, scrambled eggs, there is even congee (rice porridge) available with the usual condiments e.g. crispy fried shallots and fried bread sticks (youtiao) and seasonings e.g. soy sauce. Amazing, this hotel looks simply amazing – and it also looks very big! Just look how high the ceilings are in the first picture at the hotel reception in the lobby. We have never been to Australia, the closest we ever got (if you can call it that) was Singapore and my wife and I loved it, in fact, we would love to go back again. Nice post and great pictures. Glad that you like Singapore 🙂 do drop by next time.